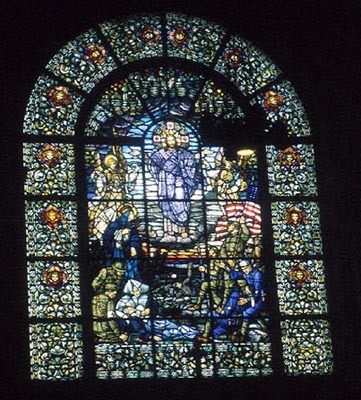 Brief Description of Subject: It is called the World War I window. 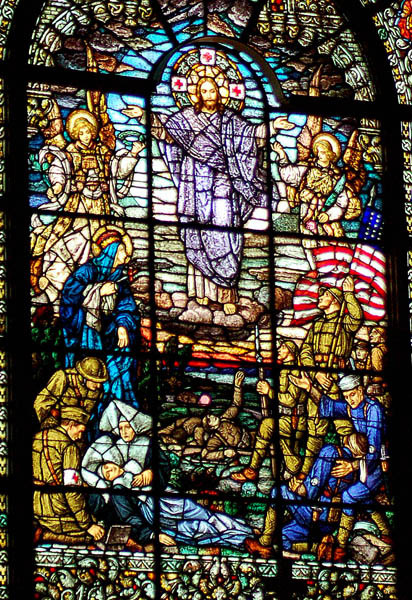 It is dedicated to all Jacksonians serving in the armed Forces and to the nuns and nurses who cared for them on the battlefields. 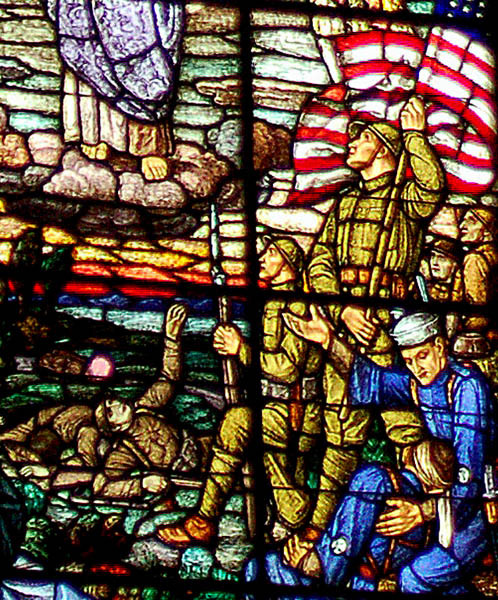 At the right of the scene are soldiers and sailors arriving on shore, bearing the American flag and supporting the wounded. 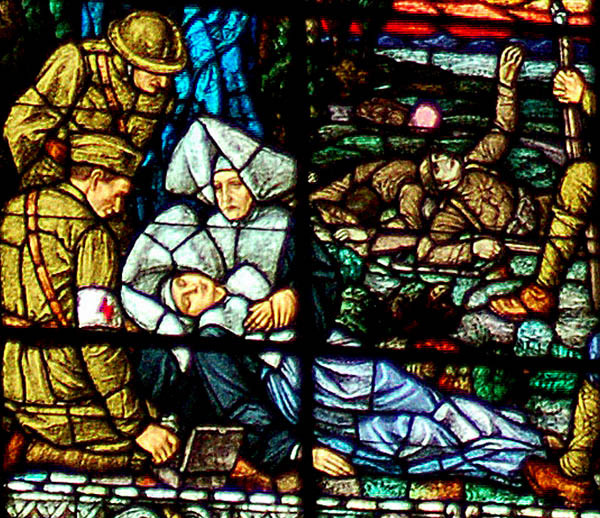 To the left are other soldiers and a Sister of Charity of St. Vincent de Paul tending a fallen nurse. 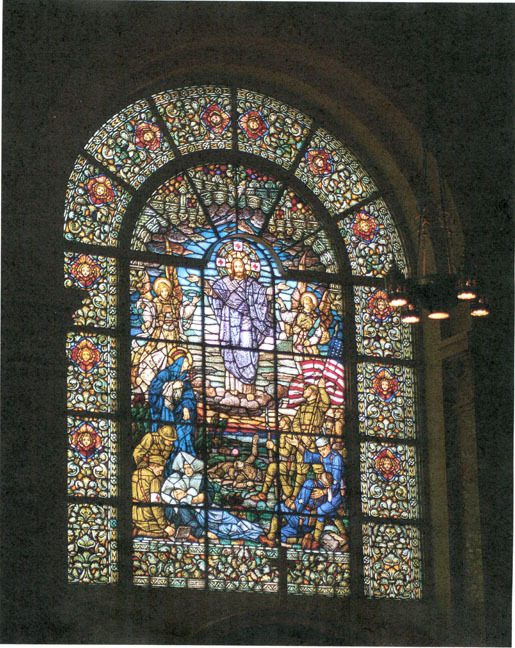 Behind them St. Mary looks upward toward figures of Christ and attending angels.